New Hope Trails is a subdivision near Jordan Lake. This is a large acreage subdivision along a long, windy gravel road. This property was MLS #2176280. Secluded Acreage Property Near Jordan Lake. 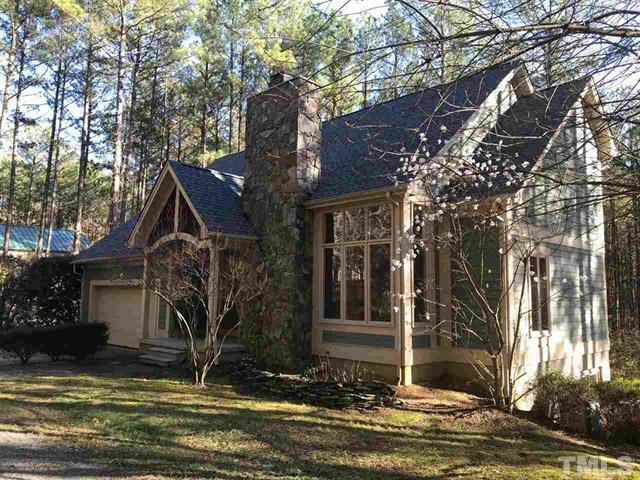 Home is situated on 11+ wooded acres with stream at the end of private road in large acreage neighborhood. Property features stone fireplace, granite counter tops, immense 2 story garage workshop, finished basement and additional outbuilding. Fenced-in yard, gate, mature vegetation. Flowering trees, gravel parking, circular driveway. 2018 roof. Unrestricted covenants expired. Road maintenance agreement. Minutes to Hwy 64/ RDU/Beaver Creek/RTP and boat landings. If you’re looking at selling a home with acreage, contact Eric Andrews today.